There are so many different ways of eating out there, some new, some old. They come in waves of popularity and with the amount that are out there, from vegan to paleo to low carb to keto, it can be easy to see so many names and not know what they mean. Keto, or the ketogenic diet, is becoming more popular and well known. It’s not a new way of eating, it was originally developed in the 1920s as a diet to help with pediatric epilepsy. Keto focuses on low carbohydrates and high fat. By eating low carb, it’s easier to put the body into a state of ketosis, which means the body is fully accessing and using the body’s fat stores and any consumed fat. By being able to access and use fat, your body can more efficiently run, you can have more energy, not be a hungry, and potentially help with certain health issues. You can also go longer without eating, and not feels as hangry as you would. The majority of people in Western society, especially those eating the SAD diet, are sugar burners rather than fat burners. Their bodies are constantly relying on glucose for energy, which comes from carbs. Sugar burners can’t access their stored or dietary fats. They’re also more susceptible to getting hangry and needing to eat more often since their source of energy is burned up and used very quickly. More and more people are trying the keto diet to access ketosis, not be as hungry or get energy crashes, to lose fat, and for many other reasons. I like to try more low carb and keto-type meals to get more into the fat burning mode and away from the sugar burning mode. What’s in the Keto Diet? So what do you eat if you want to try keto? You’ll cut out high carb foods, like processed foods, all grains, beans and legumes, and sweeteners. Fruits and vegetables that are higher in carbs will be eaten less often, like berries, fruit with a lower sugar content, and root vegetables. Keto is mostly whole vegetables, well sourced animal proteins and fat. Keto can also involve counting macronutrients (carbs, fat, protein) in order to keep track of the carbs you’re eating. I like to explain to friends as paleo on the next level. Wanna Learn More about Keto? If you’re not already eating a paleo-type, gluten free diet, keto could be a big change for you. Your body will need some time to adjust and that can mean feeling a little bad (commonly called the keto flu) before feeling better and energized. When I started to learn more about keto, Leanne Vogel of Healthful Pursuit is a great resource. 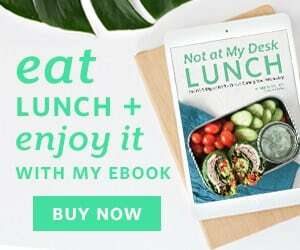 In addition to her blog and recipes, she’s got a podcast, a YouTube channel, ebooks with meal plans and a keto cookbook that came out earlier this year. 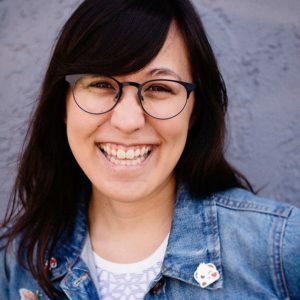 If you want to learn a lot more about keto, head to her. If you want to try keto and not worry about macro counting or what’s low carb and what’s not, or if you just want to try it and see how you like it, Green Chef is a great option to consider. Green Chef is a meal prep service, like Blue Apron or Sun Basket. Green Chef offers diet specific boxes, meaning you can order a box that’s 100% vegan, paleo, and now, a keto. They provide 3 meals per box that feed two people per meal. They deliver it to your door during the week and pack it so it can safely sit there while you’re at work. The ingredients are labeled and portioned out like other boxes, and they come with recipe cards. Each recipe is about 20-40 minutes, depending on what the recipe is. Green Chef sent me a keto box to try for a week of meals. I had never tried a meal prep box, so I looked around to see what else was out there and looked into Green Chef more. What I really like about Green Chef is their dedication to sourcing and sustainability. They work with small, organic farms from around the country for their produce and proteins. They list a few of their farming partners on their website, and were more than happy to answer my questions about where their meat came from (it’s grass fed and sustainably sourced). In addition to the food, their packaging is also all recyclable, from the bags they come in to the insulation that keeps the box cool. You can also recycle the ice packs, which I really liked. One of the things I haven’t been a big fan of with meal prep boxes is the amount of packaging and waste. After trying Green Chef meals, I got inspired to make a keto meal of my own. Each of the Green Chef meals I got was a keto twist on some classic ethnic dishes, from lamb shakshuka with cauliflower rice to seared tuna with a beautiful slaw to a Italian feeling chicken with salad and cauliflower. I decided to keto-ify steak fajitas. 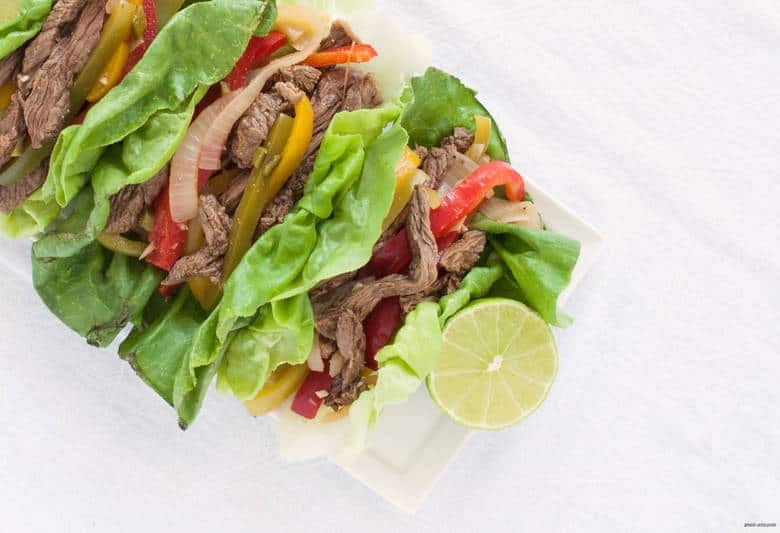 Instead of using corn tortillas to eat the fajita filling, I swapped that out with lettuce leaves to keep the carb count down. You can enjoy as many tacos as you’d like, depending on the size of your lettuce leaves. I used a butter lettuce because it’s got a great cup shape, perfect for filling. Choose whatever other variety of lettuce you’d like as long as the leaves have a cup shape when you take them off the head. 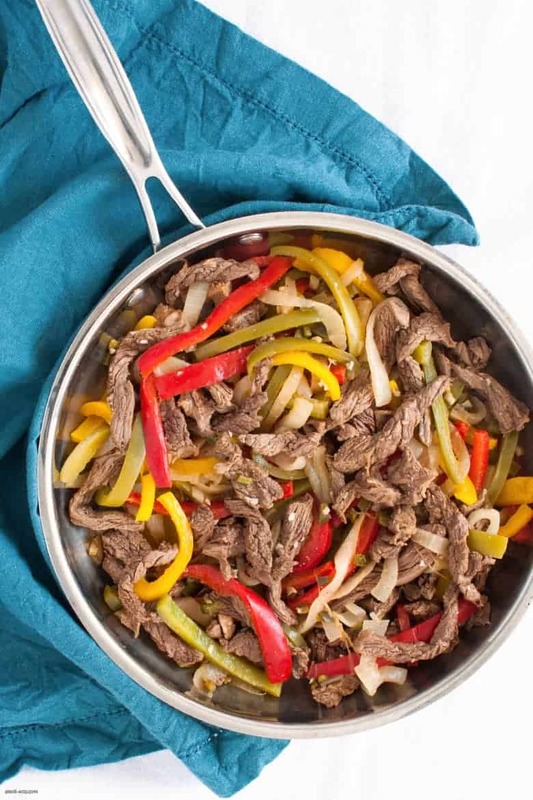 If you want even more flavor, you can add some salsa with your fajitas or even add some heat with peppers. Disclosure: Green Chef gave me a week of meals to try. As always, all opinions are my own. In a bowl, combine steak, garlic, lime and all the spices. Stir to combine. Bring a medium saute pan to medium heat with the cooking fat of your choice. Once hot, add in steak and cook for 2-3 minutes on each side. Place the steak on a cutting board and allow to rest. Using the same pan, add a teaspoon more of cooking fat, if needed. Bring back to medium heat and add in onions and peppers. Cook for 5-10 minutes, until softened. Turn off heat. Cut the steak into strips and add steak into the sauté pan and stir to combine. Taste and adjust any seasonings as needed. 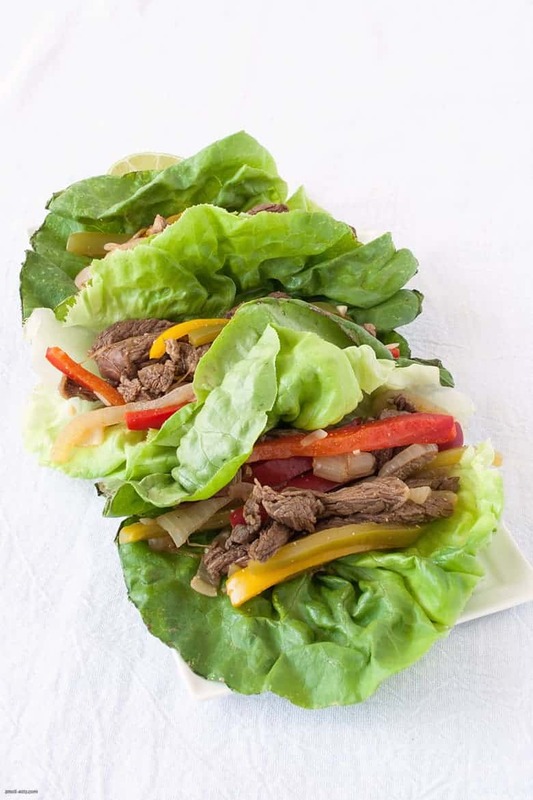 Portion 2-3 spoonfuls (depending on the size of your lettuce leaves) into each lettuce leaf and enjoy.